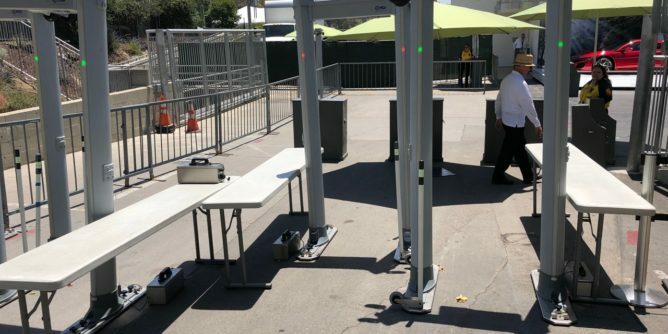 Reaction to the Manchester bombing include metal detectors installed at the Hollywood Bowl gates. Not exactly sure what they are looking for on my person but after handing over my phone I walked through unscathed. The LA Phil has said nothing has changed as to what you can and can not bring into the theater and to show up 30 minutes earlier than normal to make up for the extra security. I also noticed what I assume are bomb sniffing dogs at various positions. Seems like the extra security is worth the piece of mind. The Hollywood Bowl House Rules have been updated to reflect the new security procedures.